NMAC Cash only available when you finance through NMAC. Any customer Leasing an eligible vehicle from any authorized Nissan Dealer during the program period. Proof of current enrollment in accredited U.S. graduate school, proof of graduation within past 24 months, or written confirmation of upcoming graduation within next 6 months required. Must be financed with NMAC. Authorization codes may only be transferred between family members. This offer MAY NOT be combined with any other Loyalty offer except NOTOR programs. Eligible individuals include U.S. Active and Reserve Military, U.S. Military Veterans within 12 months of separation from Active or Reserve duty, U.S. Military Retirees who have completed as least 20 years of Active or Reserve duty required. The new Nissan must be delivered to the dealer during the program period. $468.82 per month for 24 months. $2,806.02 due at lease signing. Excludes registration, tax, title and license. $361.75 per month for 36 months. $3,246.18 due at lease signing. Excludes registration, tax, title and license. $464.83 per month for 39 months. $3,631.32 due at lease signing. Excludes registration, tax, title and license. $442.55 per month for 42 months. $3,686.34 due at lease signing. Excludes registration, tax, title and license. $406.00 per month for 48 months. $3,796.38 due at lease signing. Excludes registration, tax, title and license. $382.23 per month for 60 months. $3,961.44 due at lease signing. Excludes registration, tax, title and license. $434.25 per month for 39 months. 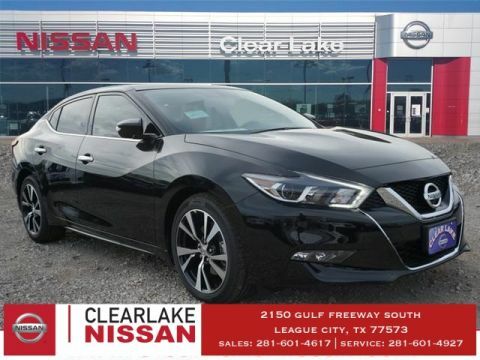 Listed Incentives are available for registrations at Clear Lake Nissan located in League City, TX. Information Provided by Chrome Data Solutions, LP: Information is Reliable but not guaranteed. Finance Offers (APR) are available to qualified buyers subject to Credit Approval, not all buyers will qualify.